"Even though it broke my heart into pieces, seeing the awful reality for billions of sentient beings every minute around the world, I will be watching the film in full, making sure someone who isn't vegan watches it with me." 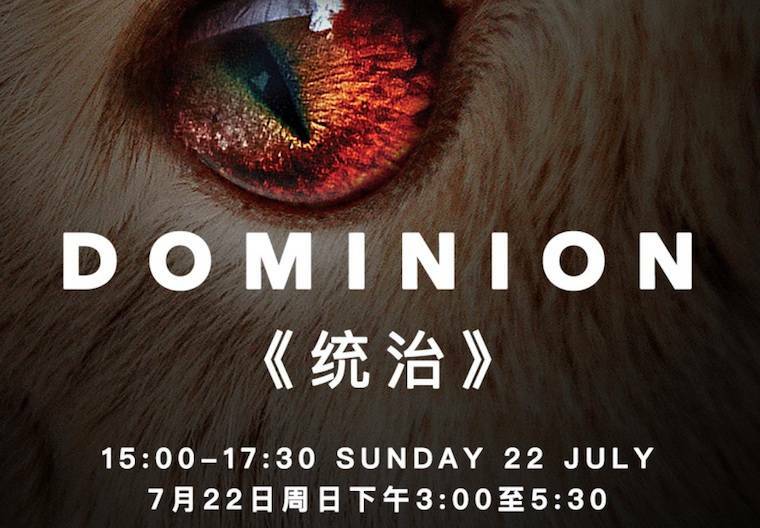 The Chinese premiere of animal rights documentary Dominion has sold out well in advance of the event on July 22. The feature-length film is directed by Chris Delforce and co-produced by Earthlings Director Shaun Monson. A host of high profile celebrities have leant their voices to the film as narrators, including Joaquin Phoenix, Rooney Mara, Sia, Sadie Sink, and Kat Von D.
The premiere - in Beijing - is being hosted by TACN - a charity aimed at improving animal welfare in China and promoting a healthy and cruelty-free lifestyle worldwide - and Camera Stylo. 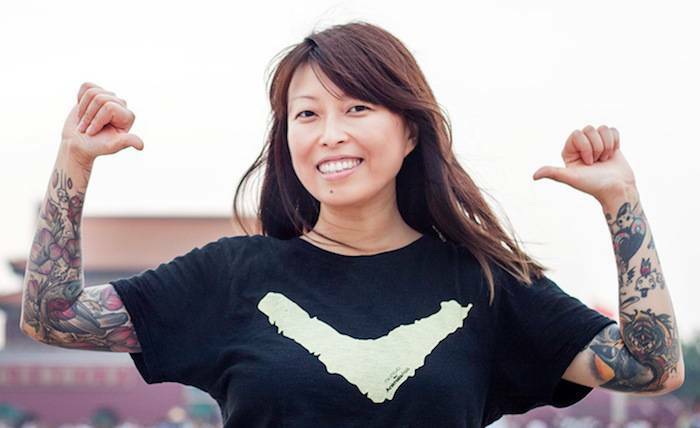 Plant Based News spoke to Grace Han - TACN's Founder and Managing Director - about Dominion, activism, and the rise of veganism in China. 1. Congratulations on selling all the tickets - does this reflect a growing interest in veganism/animal rights in China? Thank you. I personally think so. From many events I was involved in recent years, I've seen a growing number of people taking part and many of them have become vegan or are transitioning to a plant-based lifestyle, especially from last year. 2. How popular are vegan/Animal Rights documentaries in general in China? Vegan/AR documentaries are quite popular in general in mainland China. I would say different types of documentaries attract different groups of audiences. Nature and environment-focused ones are especially popular over there. Documentary production has also taken off in China, I think the BBC has recently developed co-production partnerships with companies in China. 3. Have you seen the film? Are you nervous about seeing it? I haven't seen the full film, but I watched the trailer when it first came out. Honestly, I was so impressed by the image quality, sound and perspective of the film just by watching the trailer. Even though it broke my heart into pieces, seeing the awful reality for billions of sentient beings every minute around the world, I will be watching the film in full, making sure someone who isn't vegan watches it with me. More importantly, it has given me more strength and courage to fight harder, and do more to take my activism to another level. 4. Is there huge anticipation for the documentary in China? There is definitely a real anticipation for the documentary in China among the vegan communities, especially the expat vegan communities in major cities like Shanghai. I know for sure many people have been desperate to see it in Beijing, too. 5. Is there anything else you'd like to add? I want to encourage more activists around the world to spread the message about this film, organize screening events, or work with others to do so. My team of volunteers and I are already planning our second screening of Dominion in Beijing, working with other local vegan groups to organise further screenings and related events, and we are taking a strategic approach to get more non-vegan people to attend. Actions speak louder than words. I really hope everyone who has watched the film will take action, start to change from within, and make a difference for the animals.